Newest lostvape DNA vape mod paranormal, integrate Evolv DNA75C chipset, powered by 2pcs 18650 batteries and max output 75watts, with classic design appearance, combined with exotic materials for an exquisite look. leather battery door, carbon fiber panel and die-cast zinc alloy frame, the 0.96inch OLED screen with three-button operation let the vape more simple and convenient. the OLED screen will show you the vaping data more clearly. 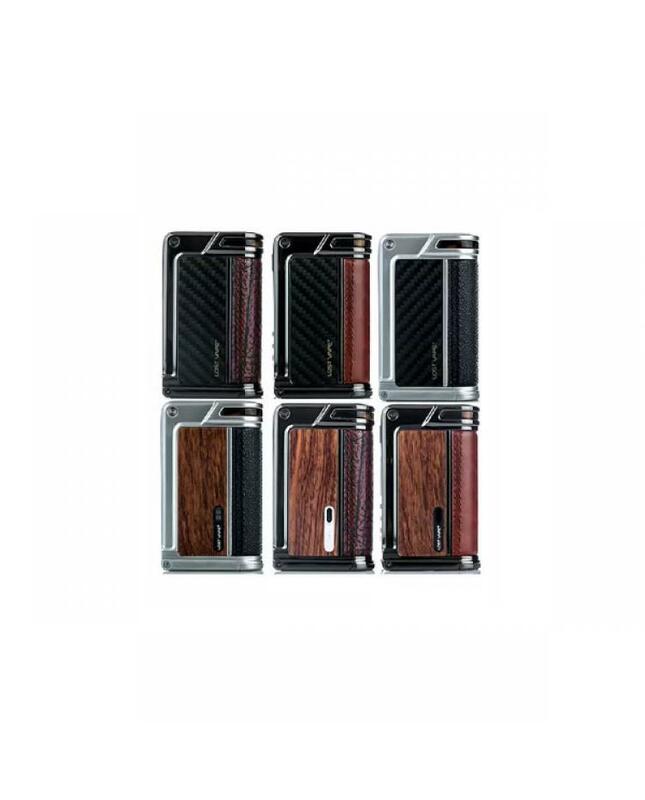 the evolv DNA75-C chipset provides 85% efficiency and full temperature customization, supports nickel NI200, titanium, and stainless steel vape wires. multiple functions to ensure the vape safe and reliable, the lost vape DNA box mod provide the best vaping experience.